November 6th is going to go down in history! 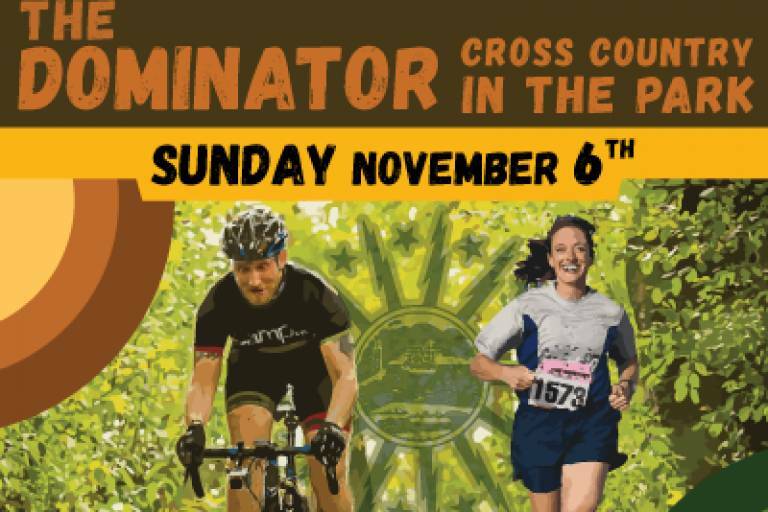 THE DOMINATOR-Cross Country in the Park is a cross country/steeple chase inspired running race held completely within the taped course utilized by the cyclists during Cross in the Park. The course consists of a completely enclosed taped off route between trees, off camber sections, hardpack gravel pathways, grass, short barriers and stone staircase run-ups) that varies from roughly 10-20′ wide for the entire course. All entrants are required to stay between the tape which may include many creative twists & turns. Runners start & finish at the stone arch near the Rose Garden in Delaware Park and compete in a single or double lap showdown for awards and prizes. Noon start for the 4-miler two-lap race, one minute later the 2-mile, one-lap race begins. Walkers are welcome on the short course. Participants are not permitted on the course until the gun goes off at noon-no exceptions(bicycle races will be on-going all morning and after the run). The run is held during the mid-day bike racing break. Registration at the Red Tent from 11am. $15 pre-reg, $20 day of. Cross in the Park has become a mainstay in Buffalo attracting hundreds and hundreds of entrants, spectators and families cheering, racing and spectating throughout the day. Food trucks, DJ entertainment and cheering crowds line the courses. Enjoy the day in one of Buffalo’s jewels of a park system. Pre-register and receive your DOMINATOR dog tags.